Just like a PAYG mobile phone, when your balance reaches £0.00 your service will stop working, so it’s important to keep it topped up. It’s possible to do this automatically by configuring the auto-refill options within Jelastic, however, if you just want to submit a single payment read below. 1. 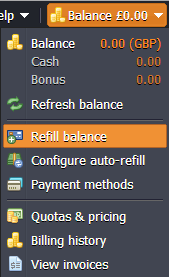 Select ‘Refill Balance’ from the ‘Balance’ menu. 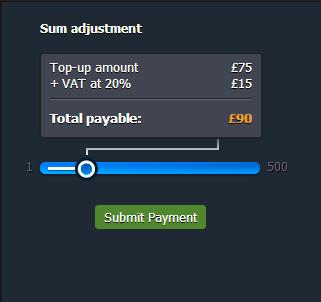 The payment will then be processed and should appear on your account within a few minutes.